Volkswagen AG may sell a record 7 million vehicles worldwide this year, reducing the sales gap with Toyota Motor Corp. to just over 1 million units from 1.5 million last year. In the first nine months of 2010, Volkswagen's seven car brands raised sales 12.7 percent to a record 5.4 million cars, SUVs and light commercial vans. “With their booming sales in China, surprisingly strong volumes in the U.S. and big share gains in Europe outside Germany, it could be possible VW will sell over 7 million units this year,” said Max Warburton, a Bernstein Research auto analyst in London. Through September, VW group sales in Europe rose 1.1 percent to 2.5 million. China sales jumped 39 percent to nearly 1.5 million and U.S. sales grew 21 percent to 267,500. VW did not disclose a sales target for 2010, saying only that it expects to exceed last year's record sales of 6.3 million. 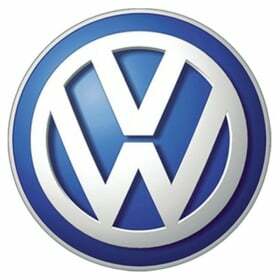 Company sales chief Christian Klingler said at the Paris auto show earlier this month that VW may achieve its goal of 10 million unit sales before 2018, when the German manufacturer has vowed to overtake Toyota in sales and profits. But Volkswagen's giant rivals are fighting back. After a public relations nightmare over worldwide safety recalls of millions of cars, Toyota -- still the world's largest automaker -- is growing again. In early August, Toyota forecast that its Lexus, Daihatsu, Hino and Toyota units would sell nearly 8.3 million units in the fiscal year ending March 31, 2011. That would be a 6 percent increase from the previous fiscal year. Meanwhile, General Motors Co. is expected to boost global sales nearly 10 percent to 8.2 million units this year – enough to cement its status as the world's second-largest automaker. Following its emergence from bankruptcy last year, GM once again is growing its four surviving U.S. brands – Buick, Cadillac Chevrolet and GMAC – and is being helped by booming sales in Brazil while it pursues a turnaround plan for its unprofitable European Opel/Vauxhall subsidiary. In a September interview in Der Spiegel, VW CEO Martin Winterkorn acknowledged that Toyota and GM are formidable rivals. "We know how ambitious our goals are," Winterkorn told the weekly news magazine. He said VW also faces challenges as a result of its plan to integrate sports car maker Porsche AG and cultivate its partnership with Japanese automaker Suzuki Motor Corp., in which it has taken a 20 percent stake. "All this won't happen automatically," Winterkorn said. Bernstein's Warburton said VW group's 2010 volume could be 7.1 million this year, which would reduce the sales gap between VW and Toyota to about 1.1 million units while maintaining the same gap with GM. With 6.31 million sales in 2009, VW's volume was 1.5 million behind Toyota's sales of 7.81 million and 1.1 million behind GM's total of 7.48 million. From January to June, VW's global sales were about 500,000 behind its larger rivals. During the period, Toyota increased deliveries 16.9 percent to 4.17 million and GM's sales rose 16.8 percent to 4.15 million, while VW's volume grew 15.8 percent to 3.61 million units.